Though more likely to appear in the Western art, any experience of Christian iconography will present us at one time or another with the image of some odd, winged creatures, with the heads and features of animals. Usually on Gospel Books, though sometimes in the architecture of church buildings, the appearance of such fantastical creatures might seem bewildering to those who are new to the Christian Faith. 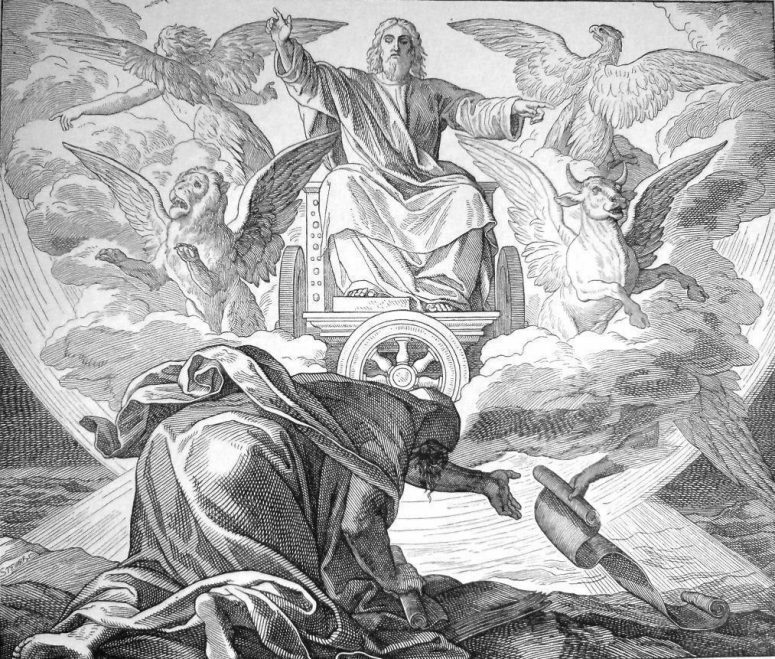 Yet these angel-winged creatures – collectively called the Tetramorph – are found in the Old and New Testaments of the Bible, and their symbolism explains their presence on the binding of Gospel Books. It is this setting shown in the picture at the top of this post, and the most common depiction of the four creatures in Christian artwork. 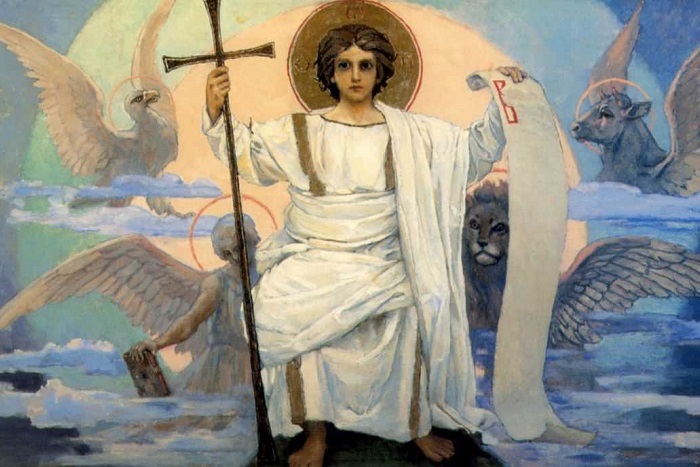 Matthew is represented as the winged man, because his Gospel begins with the human genealogy of Jesus. 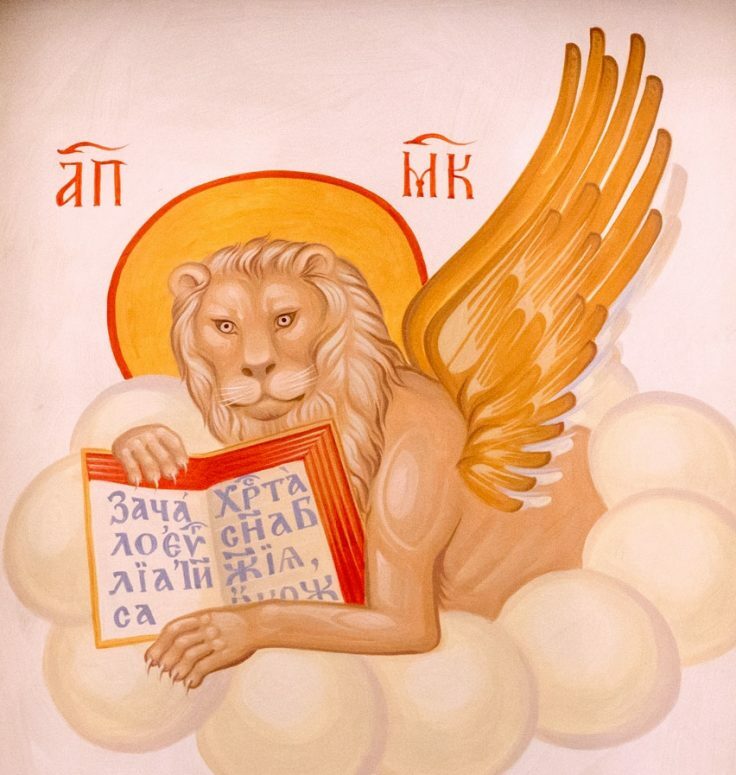 Mark is represented as the winged lion, as his Gospel begins with John the Baptist and his “voice crying out in the wilderness”; the lion being an animal of the Middle East’s wilderness. 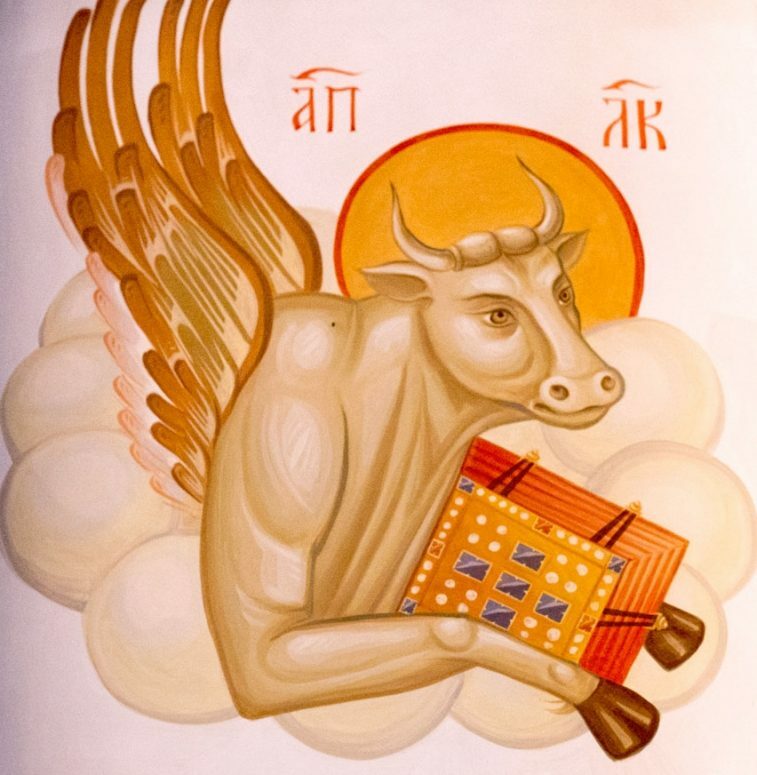 Luke is the winged Ox of the Tetramorph, because his Gospel begins in the Temple with Zacharias – the father of John the Baptist; the Ox being a sacrificial animal. 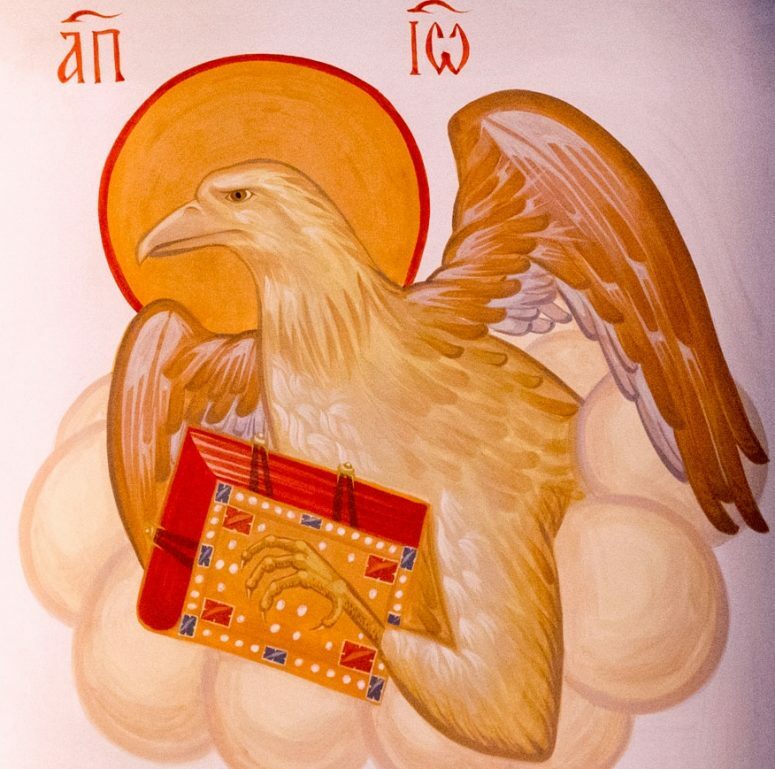 The symbolism of representing the Four Evangelists as the Four Winged Creatures has developed over time, so that by the High Middle Ages it was extremely common to find these symbols in the West. 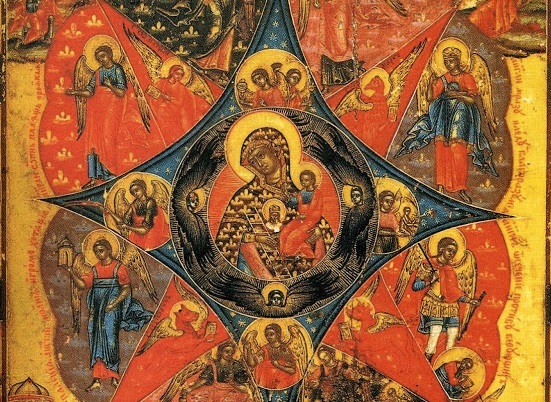 It would also be common to see the Evangelists depicted as humans, but flanked by “their creature”. Although this symbolism dates from the First millennium A.D., and so certainly belongs to the Tradition of the Orthodox Church, it is also true that the symbolism is used less frequently in the East. It is also important to say such symbolism is very rare in Orthodox Icons. 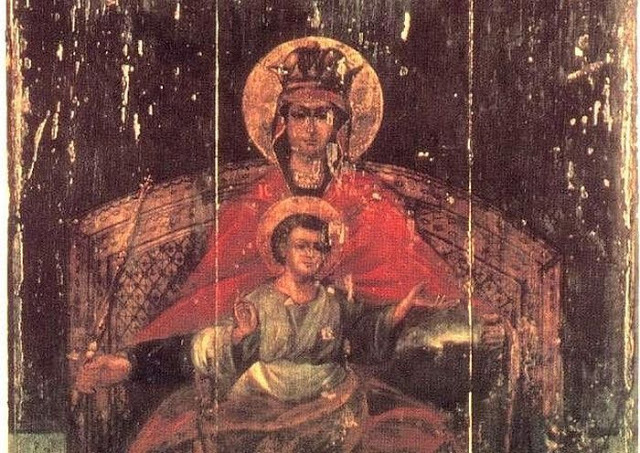 As Icons are not merely examples of “Christian Art”, but are images which are venerated and honored, this distinction should be emphasized. 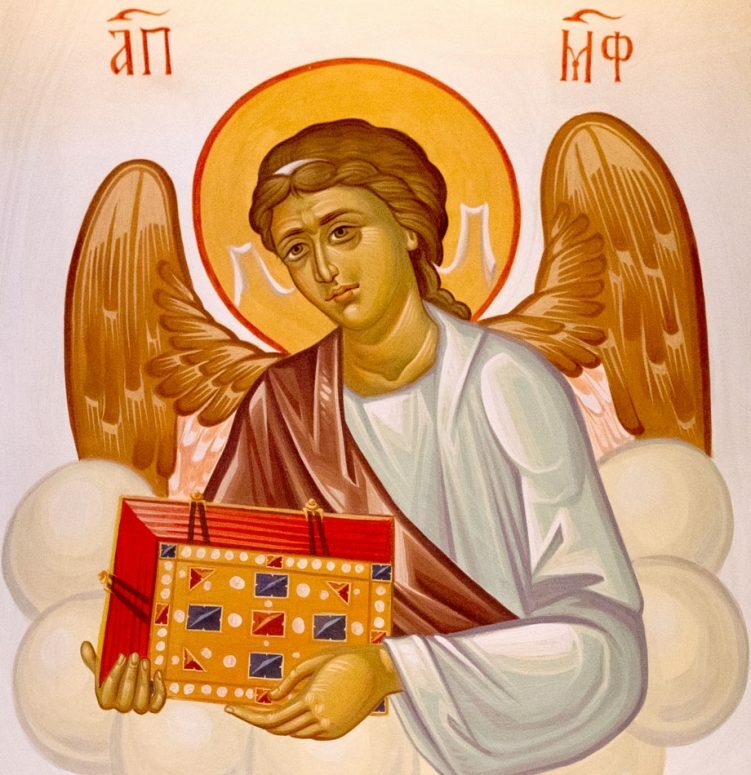 Although the Tetramorph is a beautiful way in which to decorate Christian manuscripts or the edifices of churches, our Orthodox forefathers have not seen it fit to put these creatures in images which are venerated. 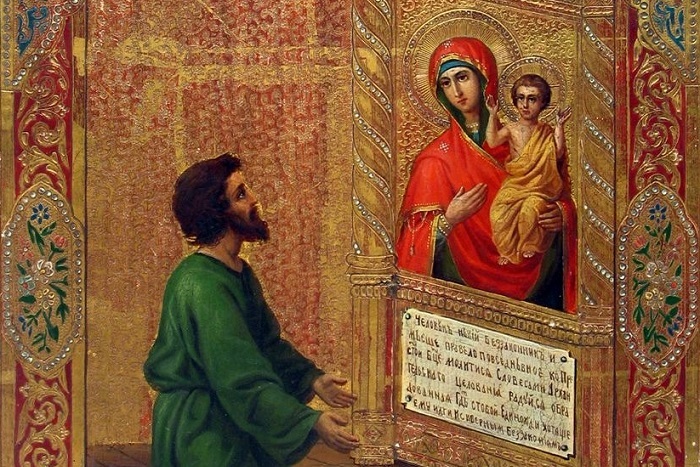 Or, at least, not put into icons of the Evangelists which are venerated.